If you are an investor, finding lucrative investment options can truly require plenty of deliberation and groundwork. There are various ways in which investors can be associated with a developing firm, an established business house or a business startup. Investors can either opt for debt financing or select equity financing as an option. Equity common shares can prove to be a profitable option for you, specifically if you are looking for some comprehensive control in the functioning and major decision making process of the company. Owners of equity common shares normally enjoy voting rights, since they are entitled to voting shares. Exceptions regarding rights conferred may exist however. A voting right in a company where you have invested in equity common shares could actually prove to be a coveted authority. You can exercise your rights for providing major inputs in the company policies, processes, stock splits and can even have your say in the selection of the board of directors. Hence, equity common share holders can actually participate in the essential business processes of an organization and boast of complete involvement in their invested venture. Some equity common share holders also enjoy preemptive rights, which is a special privilege. If you are conferred with preemptive rights, you can retain your proportional ownership even if the company issues fresh stocks. Financially, equity common shares may not be a very lucrative option. There are no fixed dividends here, and the returns largely depend on the financial performance of the company, reinvestment gains and market condition. You can hope to earn dividends and foresee capital appreciation, both of which will grant you substantial returns. This is a lucrative option when perceived from the point of view of the business entrepreneur. If he has availed of equity financing, he will not have to worry about making periodic payments. This is especially suited for startups which almost always face an initial financial crunch situation, due to reduced cash inflow and unforeseen requirements. Debt financing may not be a suitable option for startups, because they usually demand a regular payback schedule and defaulters may attract heavy penalties. Equity financing will only result in control sharing and would require you to adopt a collaborative approach towards the decision making processes and functions of your company. Also, if you hold equity common shares, you will not be given the first preference for payback, in the event of bankruptcy. Debts of equity common share holders are considered only after the dues of priority stock options are settled, in the event of bankruptcy. Therefore, holding equity common shares is more associated with considerable involvement in the decision making process of the firm, you have decided to finance. You need to understand the implications of being in the decision making process before you actually get into a written agreement. Angel investors could be interested in equity common shares, especially because they are small time investors. They could also prefer investing in equity common shares, because they like to be a part of the decision making process and also take great interest in the day to day functioning of the company, in which they have invested. Angel investors are particularly in lookout of innovative business ideas which can flourish into potentially lucrative businesses. They believe in providing essential inputs for the right channelization of resources in startups and are convinced about being a part of the decision making process as well. Acquiring equity common shares will provide them with an opportunity of enjoying a say in the decision making processes, objectives and policies of a company. However, there are various other issues which might de-motivate them to acquire equity common shares, as well. One most important aspect is the liquidity issue, which might scare angel investors away from acquiring equity common shares. In the event of liquidation, preferred share holders are given preference over equity common share holders. So if there is an event of liquidation, sell off or closure, preferred share holders have a brighter chance to recover their trapped cash. Equity common share holders are given last preference and chances are that they will not be able to recover their cash at all, or the process might be infinitely delayed. This is a prime risk associated with acquiring equity common shares which lead to angel investors steering clear of it. As founder or entrepreneurs however, it is always wise to offer equity common shares to the angel investors who are willing to put their stake in your firm. There are two advantages for doing the same. Actually, if you have more of equity common share holders, you and your investors can be on the same platform, in the event of a sell out, bankruptcy or liquidation. In such specific cases, you do not have to give preferences to your investors and bear the brunt of the losses all by yourself. Both you and your investors will be in an equally preferred position for recovering your funds. Secondly, if you have more of equity common share holders for your venture, there will only be one class of stock outstanding and a simple capital structure, both of which is very beneficial. Despite these advantages however, convincing angel investors to go in for equity common shares might prove to be quite a task. Especially, if you have an angle syndicate investing in your venture, they will most likely push for preferred shares, rather than equity common shares. 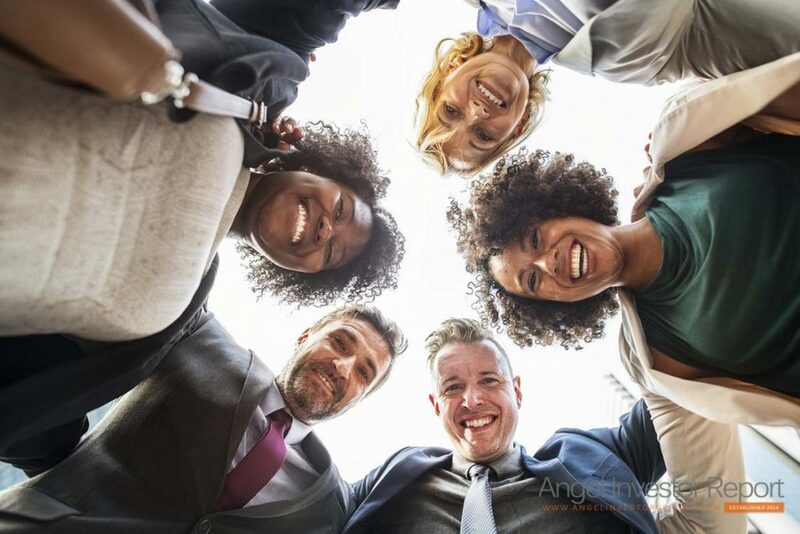 Together, the angel syndicates or boards would be investing a substantial amount into your venture, and working out a deal with them could sometimes prove to be a daunting task, especially if you are planning a settlement in your favor. Equity common shares are preferred by entrepreneurs. You just need to be able to judiciously motivate your angel investors for opting for the same. Angel investors have the tendency to get involved in the functions and decision making processes of a company. This factor can be exploited to convince them to opt for equity common shares. They can enjoy voting rights and other privileges, once they become an equity common share holder for the company.